Why Predictive Analytics? – Essential tool or unaffordable luxury? We’re increasingly being asked what can Analytics do for me? And how is it different from Business Intelligence? It’s no wonder we all struggle with what is meant by all the different buzzwords surrounding the industry. We’re constantly bombarded by stories around AI, robotics, machine learning and Analytics. So, here’s the 101 on what we mean when we talk about Analytics. It’s worthwhile starting with what we mean by Business Intelligence tools. BI tools use existing historical data to allow users to understand what is happening in their business. They are great for visualising data and helping users to make sense of data. This in turn makes data more accessible and helps everybody in the business to use data to make better decisions. 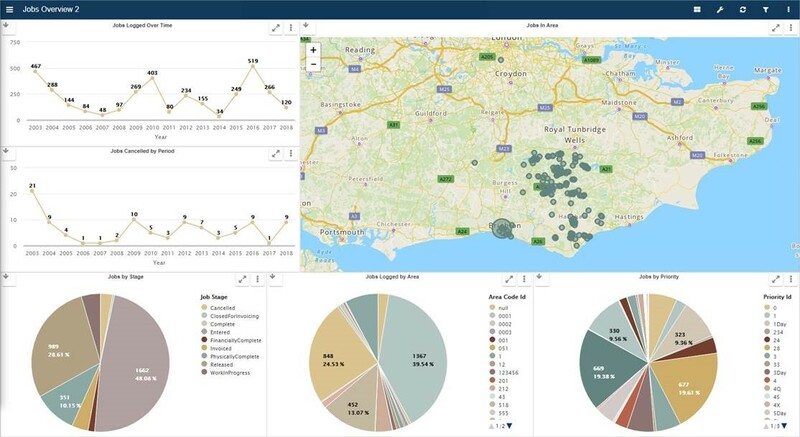 Business Intelligence tools rely on looking at the trends, patterns, highlights and exceptions in data which then gives meaning to data. So how does Analytics differ from Business Intelligence tools? Well, in a nutshell, Predictive Analytics goes one step further by telling users why things are happening, uncovering previously unknown insights by predicting future outcomes. It’s this predictive capability that sets Analytics tools apart. 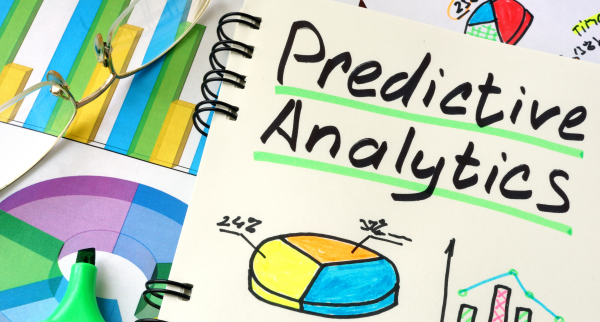 Predictive Analytics uses statistical techniques such as regression models to predict outcomes using historical data which can then be applied to new data. Self-service analytics removes the steep learning curve of using statistical tools like ‘R’ and removes the barrier to using these tools. It enables users to select data then build a model which is displayed as a decision tree and shows the most likely indicators which will produce a certain outcome. Then users can take decisions to change or influence those outcomes. Still confused? Let’s consider an example to put the application of predictive analytics in context. Firstly, much of what we mean when we talk about AI, machine learning and Analytics has been around for a very long time already. In Finance and Insurance, it’s ‘business as usual’ for lenders and insurers to use data to identify customers who are high risk versus low risk so that they can manage their liabilities. This is achieved by identifying those factors which are the most important indicators for an individual’s calculated risk. Financial organisations use their vast databases of historical data to look at all these factors affecting risk, so they can then apply those learnings to new data and predict how much of a risk a customer represents. They can then set a lending rate or premium for new customers at a suitable level. That data is constantly informing a Predictive Analytics model to help insurers calculate risk. So, is Analytics just something for big financial institutions or enterprise level organisations with big budgets? Definitely not! There are now simple self-service Analytics tools which are affordable and accessible to any size of business. This is important because it’s the ‘experts’ in your business that understand the context of your data and are able to apply the learnings to real business problems. There are few small businesses that can afford their own ‘Data Scientists’ so it’s much better to provide the experts in your business with easy-to-use analytics tools and to develop these capabilities in-house. So why should you care about Analytics? Organisations which want to respond to competitive pressures and grow their businesses need to get on board with using affordable self-service Analytics. This will allow them to increase efficiency, improve performance and deliver competitive advantage through the better use of data. If you start by asking ‘what if I knew’ questions within your business or organisation, you’ll soon see how powerful analytics can be. In each of these scenarios, there’s a deep insight from data that would otherwise be unavailable. In reality, those closest to problems in organisations tend to formulate theories as to why they exist but they are usually unable to validate those theories through data and take decisions based on data. Analytics allows the organisation to use data to predict and validate an outcome which then allows them to consider what action to take. This has the potential to deliver cost-savings, increase revenues, increase service delivery or the bottom-line. And that’s the power of Analytics. Predictive Analytics can sharpen decision-making, in ways that leave traditional approaches far behind.